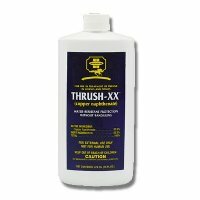 Contains 37.5% copper naphthenate to clear out thrush quickly. Water resistant, no bandaging required. Permits air to penetrate for quick recovery and preventative action.